Open it on a computer and you'll see the following splash screen, with a link that takes you to the Play Store listing for the Google Podcasts app. 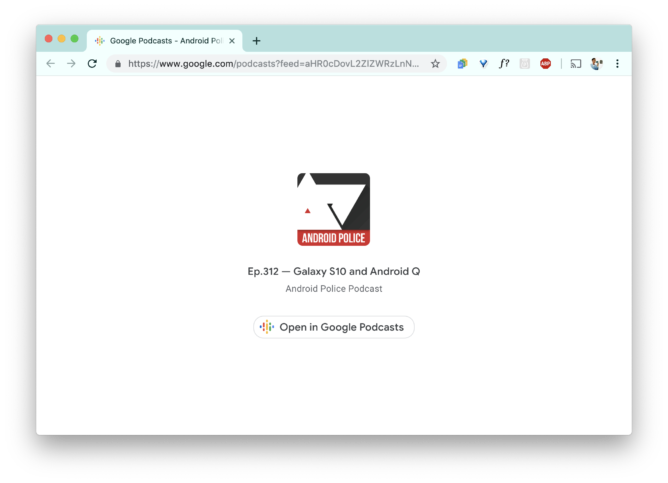 Not very helpful unless you're on a Chromebook capable of installing Android apps. You instead get taken to the web player below. It includes a seek bar, buttons for skipping back and forward, play and pause, and also speed controls. 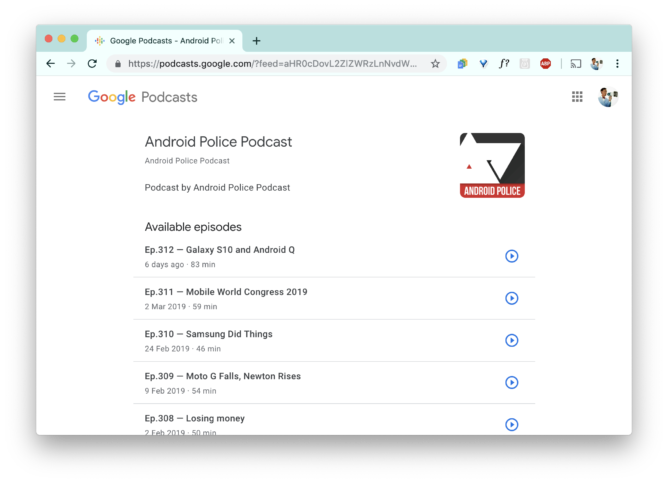 If you click the blue "Android Police Podcast" title, it'll take you to a list of every episode. Your progress is also synced with the app. 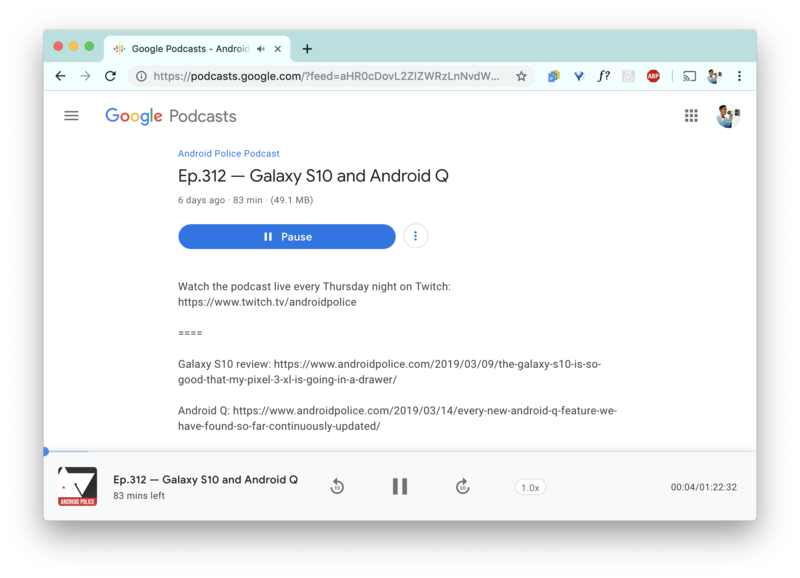 You can't yet search for other podcasts or subscribe to them, so more work is to be done before Google will officially publicize Podcasts on the web. Even so, it's good to know it's there if you need it.